I just love that this season is all about fun, unique, feminine details! By adding the simplest little details it takes basic items “up” a notch and makes them totally unique! 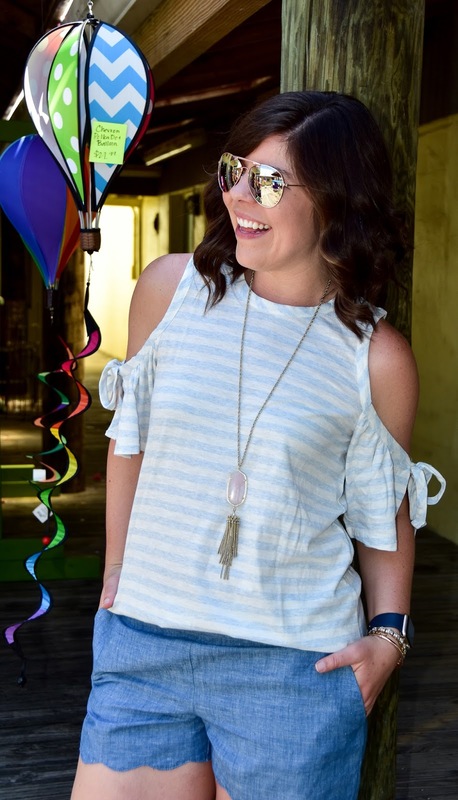 Case-in-point: this adorable cold-shoulder tee. 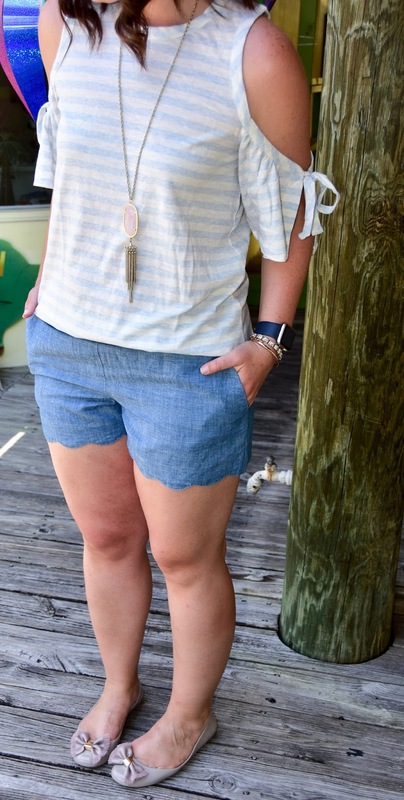 On it’s own, it would be a sweet and simple basic; but by adding the cut-outs and bow ties you’ve got a fun piece that’s sure to garner some compliments 🙂 I’m also a sucker for scallops of any kind- so of course I totally swooned over these chambray shorts- I mean, the cutest!! The perfect finishing touch was my Oka-B bow flats… this girl sure does love her bows! 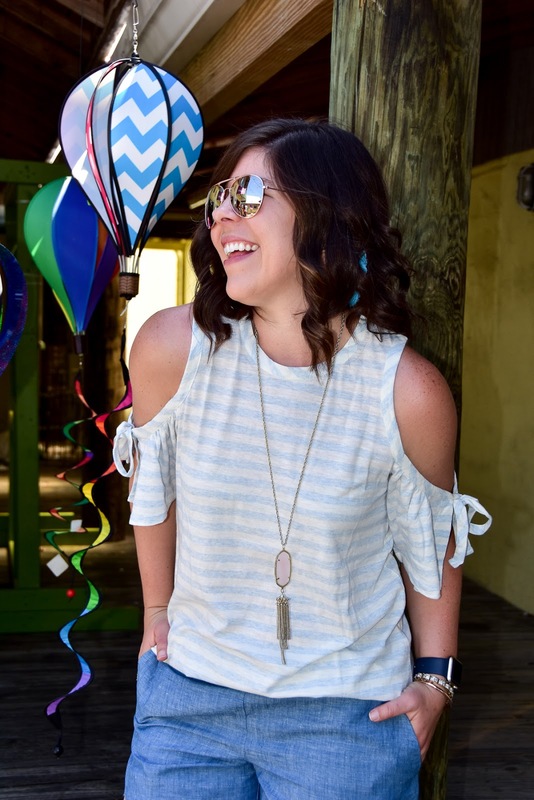 Next Post OTS Chambray Romper + Oka-B GIVEAWAY! So pretty!! Love this top! Your outfit is so fab!! Love those shorts. That top is the best Loft find! I love those bows on your toes, too! 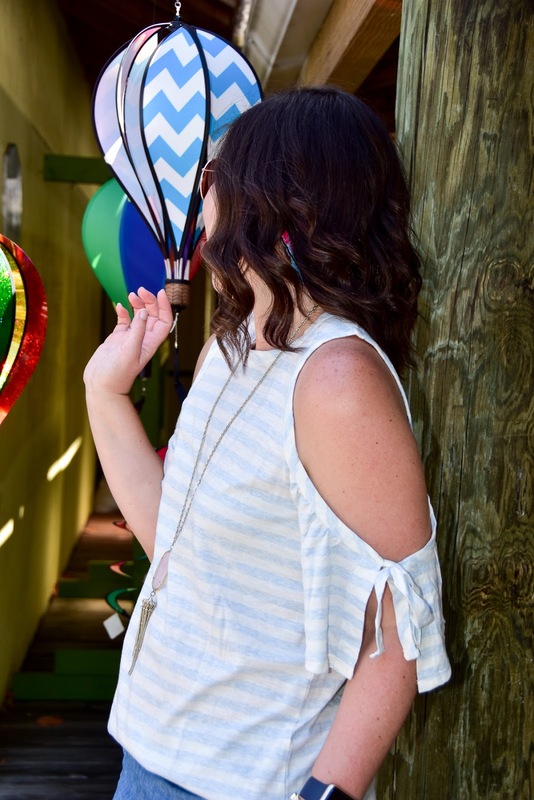 This is the perfect outfit for summer! 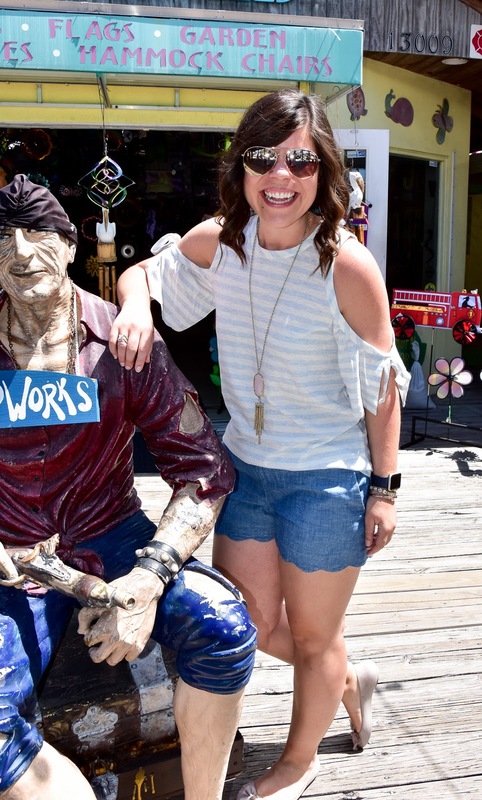 I LOVE the scalloped detail on those shorts. 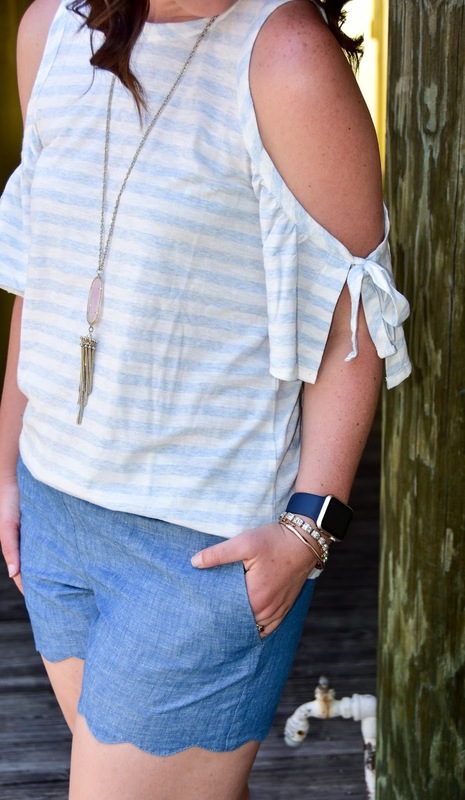 I am honestly not a fan of the cold shoulder trend, but this top is adorable! 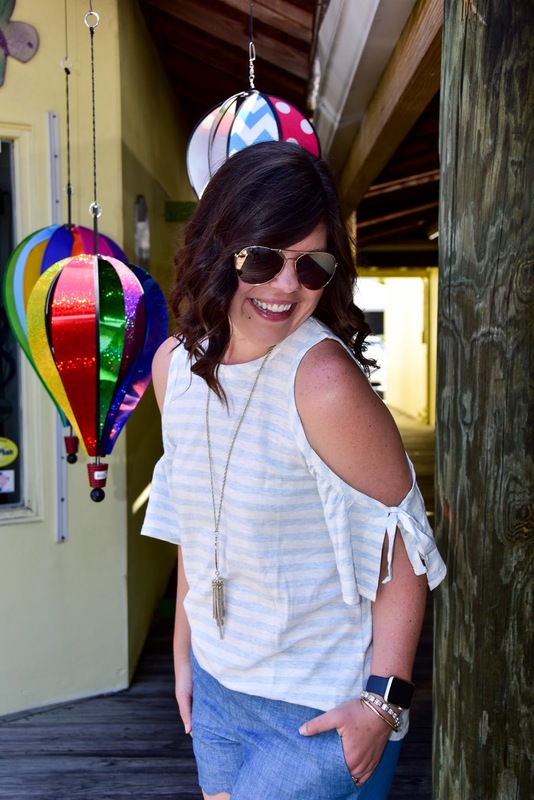 Cold shoulders and scalloped edges– two of my very faves!! I have the same KS necklace– same colour and everything! That top is adorable. I love the little bow details. 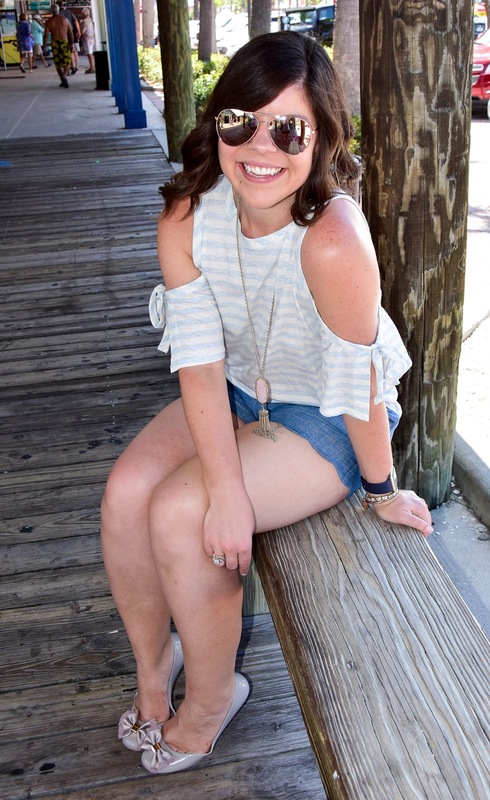 Cold shoulder is a great trend and it look amazing on you! You are absolutely too sweet Ruth! Thank you for your sweet comment! I love how the shorts are so cute and that it looks so comfy too. Perfect summer essential!